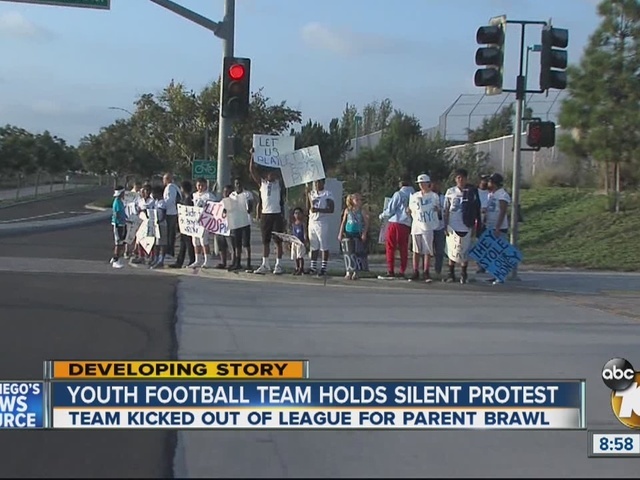 Players and supporters of the Otay Ranch Broncos youth football team are demanding answers, a week after a video surfaced online showing parents brawling in the stands during a game. The Broncos and their opponent, the Inland Empire Ducks, were kicked out of the San Diego Youth Football and Cheer League due to the fight. Cell phone video shows parents cursing, punching, and tumbling down the stands during the game. 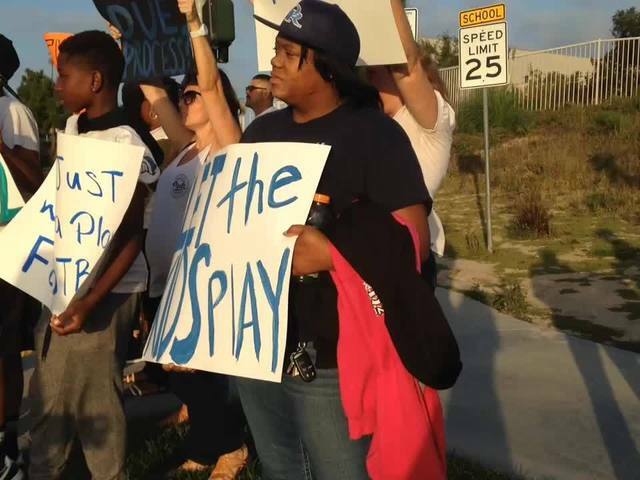 Saturday, the players held a protest in front of Olympian High School on the night when they were supposed to be playing. “We’re demanding that we see justice for this team,” said Rev. Shane Harris, a local community activist. Player Amaan Banks saw the fight, both in person and on cellphone video. 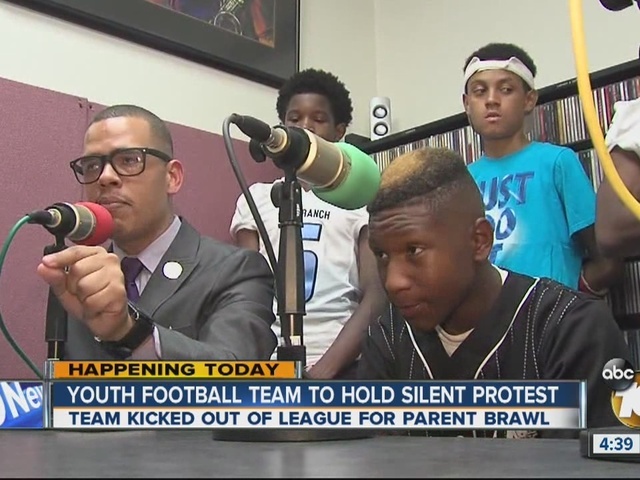 “It showed that the kids and the players had nothing to do with it,” he said. Amaan and his twin brother both play for the Broncos. The team has said they have not received answers from the commissioner for the San Diego Youth Football and Cheer league. Head coach Marcell Hawkins said the organization is sending the wrong message by kicking the kids out of the league. He said any punishment should not have been handed down to the players. The team also plans to protest at Qualcomm Stadium before Sunday’s Chargers game. Several attempts by 10News to reach the commissioner have been unsuccessful.